Dreaming of a romantic tropical getaway or Hawaii honeymoon? Why not spend your romantic getaways in Hawaii? Hawaii is the only state entirely composed of islands and is the ultimate island lover’s dream destination. Planning your honeymoon? We have found the perfect sea-side getaways for a honeymoon in Hawaii. Stay in Hawaii beachfront resorts, Luxury hotels in Hawaii & even budget accommodation in Hawaii. There are numerous Hawaii vacation spots and romantic things to do for couples in Hawaii as well. Tour through the islands to discover the best Hawaii Island for you, and explore the most beautiful places in Hawaii. Spend your romantic getaways in Hawaii or have a Hawaii honeymoon! What are you waiting for? Start planning today, and see what beautiful Hawaii has in store for you! No matter your budget or honeymoon preference, there’s accommodation perfect for your Hawaii honeymoon. Airbnb is also big here; you can find some awesome Hawaii accommodation options for your Hawaii honeymoon, here’s $35 free credit. If you want to save on your Hawaii accommodation, here is$20 AUD off your next hotel with booking.com. Hawaii is the perfect destination for a romantic wedding ceremony or honeymoon in Hawaii. With the warm inviting climate, enchanting scenery and lingering scent of tropical flowers, romance is always in the air. Couples flock from around the globe to celebrate their love on one of Hawaii’s pristine beaches. Imagine renewing your vows overlooking any of the Kauai, Hawaii beaches. Or relax and take a step back in time on your Hawaii honeymoon staring into the rugged beauty of Molokai. Are you planning the perfect wedding? The sunny coast of Maui offers the perfect location for a sunset ceremony followed by a twinkling beach reception. Whichever resort you choose for your romantic getaways in Hawaii, it is sure to be the honeymoon of your dreams. This incredible Hawaii beachfront resort sits on Oahu’s wild and rugged western coast. The 5-star, luxury resort exudes romance with it’s Oahu Hawaii honeymoon packages. Experience beautiful lagoons, vast ocean views, private white beaches, and all the luxury imaginable at one of the best places in Hawaii. Excellent service is something this resort prides itself on, so no need will go unnoticed. Challenge each other to a full round of Golf as you weave through the waterfalls at Ko Olina Golf Club. Spend the day relaxing at the Naupaka Spa & Wellness Center. Planning your wedding in Hawaii? Four Seasons Resort Oahu at Ko Olina will provide you with everything you need and more for your big day. The only thing you need to worry about is showing up and looking beautiful! Staying here really takes your honeymoon in Hawaii to a new level. Set in picturesque Kapalua Bay, this gorgeous oceanfront resort provides the perfect ambience for couples celebrating their Hawaii honeymoon or wedding in Hawaii. Montage Kapalua Bay in Maui is the ideal destination to experience luxury, hospitality, romance and authentic Hawaiian culture. Couples can truly relax and enjoy pristine accommodations, inspired cuisine, championship golf, watersports, and an award-winning Hawaii inspired spa. Lay by the incredible outdoor pool and enjoy the incredible ocean views on your Hawaii honeymoon. 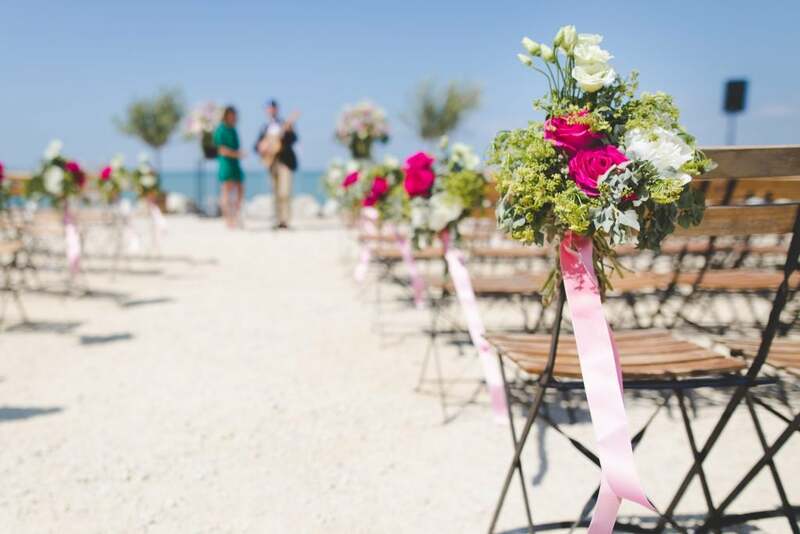 The impeccable staff are there to plan all your wedding and honeymoon needs. So you can rest assured that your big day will be absolute perfection. Be sure to consider this incredible resort for your romantic getaways in Hawaii. Get the full celebrity treatment with world class service at Hotel Wailea, Relais & Chateaux. This exclusive adults only resort in Hawaii offers the most beautiful Hawaii experience for newlyweds. Nestled on a cliff overlooking Maui’s southern coastline, Hotel Wailea, Relais & Chateaux is a proud leader in the Hawaii honeymoon experience. Featuring luxurious facilities, spacious suites, private jacuzzi’s and delectable island cuisine, couples will have an unbeatable experience. The unique private dining experience in the Treehouse is the perfect addition to your honeymoon in Hawaii. Couples are treated by a personal chef in an ocean view outdoor setting amid a canopy of mangoes and avocados. If you are planning the most romantic getaways in Hawaii, this resort absolutely should be your number one choice. Hawaii is like no other place on earth. The Islands of Hawaii feature beautiful beaches, crystal blue coastline, active volcanos, lush forests and even more beachfront romance than any other state. Hawaii is composed of eight major islands, but only 6 of which are inhabited. Kauai, Oahu, Lanai, Maui, Molokai, Kahoolawe, Niihau and the “big island’ of Hawaii each have their own unique characteristics waiting for you to explore. Couples come from all over the world for weddings, honeymoon in Hawaii, anniversaries and to simply celebrate their love. Find the best Hawaii Island for you, explore the best vacation spots in Hawaii, and enjoy the most romantic resort in Hawaii. 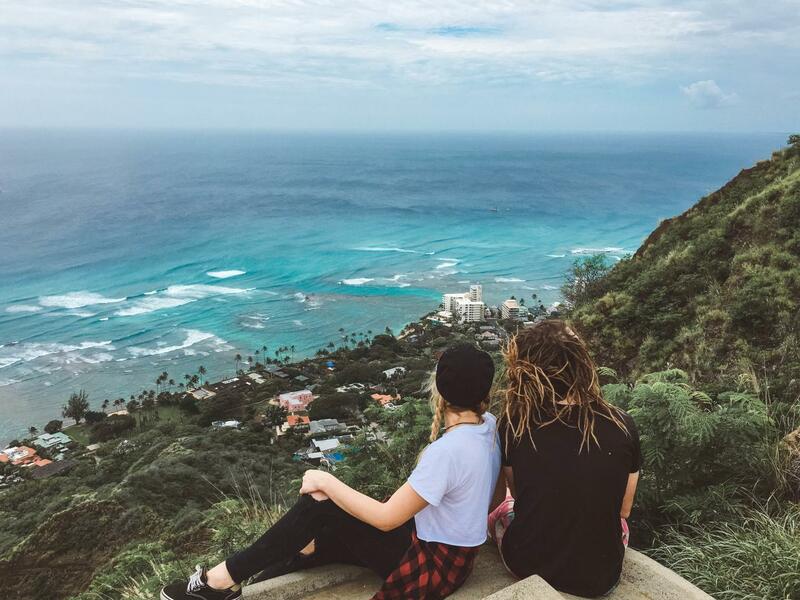 We have sorted out the most romantic things to do and best places to stay in Hawaii below. Follow our Hawaii honeymoon guide, for your romantic getaways in Hawaii. Kauai, or “the Garden Isle”, is the Island recognized for its dramatic cliffs that scale down the Na Pali Coastline. Lush, tropical rainforest covers most of the surface of the Island, creating a secluded ambience for your romantic getaways in Hawaii. Couples who enjoy hiking, serenity, adventure and scenic views will love a Kauai honeymoon. If you’re wondering where to have your Hawaii honeymoon, you should really consider a Kauai honeymoon! Whether you’re seeing Kauai in one day or one week, you’re bound to fall in love with this stunning island. Take flight over the most dramatic areas of the majestic Kauai on this spectacular sightseeing adventure. This incredible adventure is one of the most romantic things to do for couples in Hawaii. You’ll be flown over the cathedral-like spires of the Na Pali Coastline and high above the Hanalei Bay’s white sand beach. Catch a glimpse of the crystal blue waters below or the astonishing red valley walls of Waimea Canyon. This one hour tour is sure to take your breath away because it gives you a real vision of the untouched beauty of Kauai. If you’re looking for a spectacular Hawaii honeymoon experience, this is it! Luau Kalamaku is an absolutely unforgettable experience and a must do for your romantic getaways in Hawaii. You’ll be treated to a delicious Hawaiian meal while being entertained by the traditional imu ceremony and various cultural demonstrations. Following your meal, the main cast takes the stage to tell the amazing story of the ancient Hawaiian legend of Kalamakū. The impressive finale features fire poi balls and traditional fire knife dancing and is sure to leave you in awe. Couples on their Hawaii honeymoon will love this romantic date night idea! Snorkelling is easily one of the best things to do for couples in Hawaii. The Na Pali Coast is certainly one of the best places in Hawaii to do so, especially on your Kauai honeymoon. Witness the true beauty of 4,000-foot cliffs, cascading waterfalls, sea caves, secluded beaches, dolphins, sea turtles and breathtaking scenery. 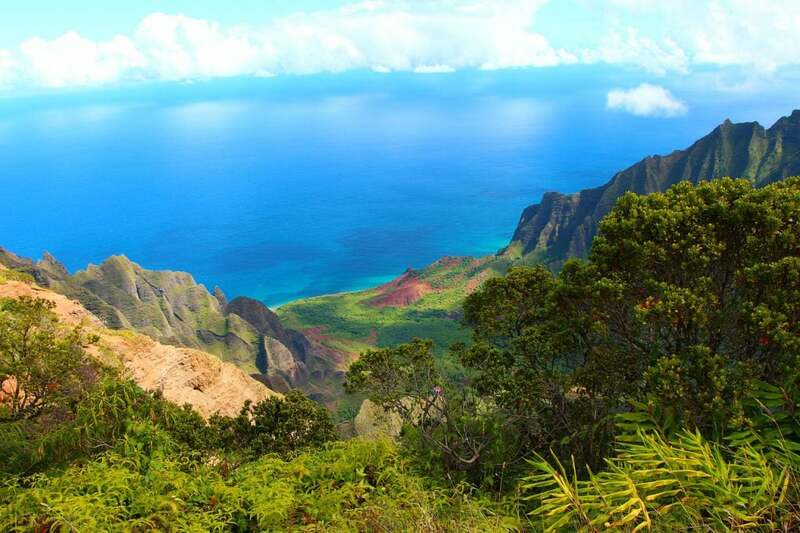 You will see why the Na Pali Coast is known as the jewel of Hawaii and the 8th natural wonder of the world. 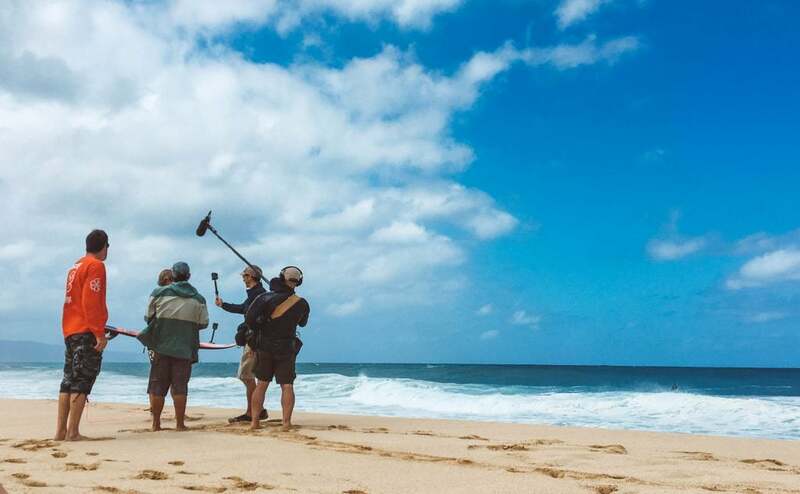 The crew members entertain your imagination with Hawaiian legends and real history. You won’t just be amazed by the beauty on top of the sea, but under it as well! Get up close and personal with sea life while snorkelling on your romantic getaways in Hawaii! Exploring the Na Pali Coast is one of the best things to do for couples in Hawaii. Explore one of the best Kauai Hawaii beaches of East Shore, check out the wonders of nature at Fern Grotto and be amazed by the lush Waimea canyon. Travel by land, water, and air to see the beauty of Kauai from every angle on your Hawaii honeymoon. Sail down the Wailua River by riverboat and make your way to one of Kauai’s geological wonders. Fern Grotto features incredible ferns that grow upside down in a natural amphitheatre of lava rock. The natural formation of the Grotto makes this the perfect location to be serenaded by traditional Hawaiian music and hula dancers. If you are really feeling fly, take your eyes to the skies for a flight tour over Waimea Canyon, Napali Coast, and see epic waterfalls all over the island. This is one of the best things to do for couples in Hawaii on their Kauai honeymoon! The Secret Garden Room is one of Kauais’s best bed & breakfasts in Hawaii. With its own Koi pond mini waterfall, this B&B provides the perfect tropical paradise escape for it’s guests. Guests can really take in Kauai’s lush nature in The Secret Garden Room on their Hawaii honeymoon. With garden view terraces and scenic outdoor dining space, couples can experience true intimacy with nature at one of the best bed & breakfasts in Hawaii. 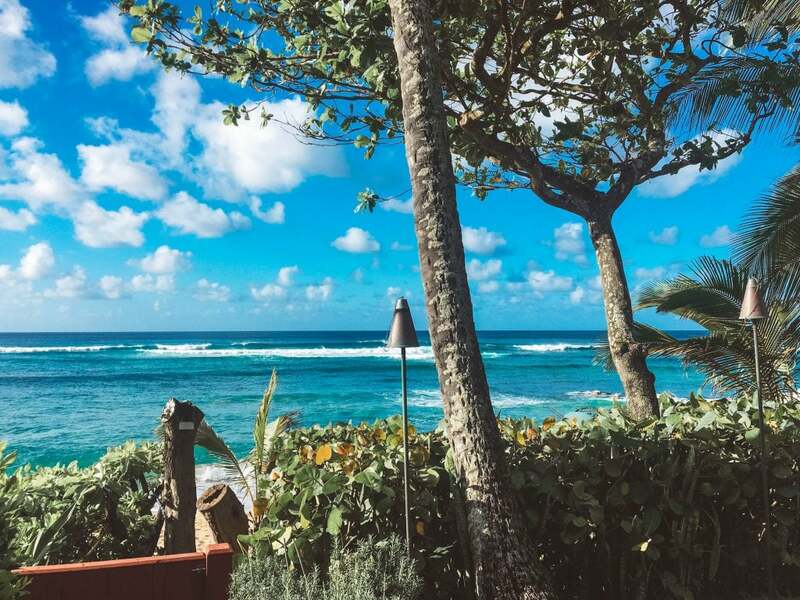 Situated on the Coconut Coast of Kauai, Aston Islander On The Beach, features some of the best Kuaui Hawaii beaches, an oceanfront pool and a hot tub. You’ll be greeted with a complimentary drink upon arrival, live music daily at the pool bar, and spacious private balconies. Couples looking for a challenge on their Kauai honeymoon also have access to the tennis courts as well as the on site golf course. Stay here for the complete package on your romantic getaways in Hawaii or Kauai honeymoon! Established as one of Kauai’s most romantic getaways in Hawaii, Koloa Landing Resort at Pa’ipu, is nestled on the southern tip of Kauai Island. This incredible Hawaii honeymoon resort boats stunning oceanfront views, especially from the Kauai honeymoon hotel suites. Among all of the modern amenities, you’ll enjoy the luxurious resort style pools, eloquently landscaped ponds and romantic lit walkways throughout the property. This exquisite resort has everything you need while on your Hawaii romantic vacation! However, for those who want more, Poipu Shopping Village, Koloa Landing & Poipu Beach are only a short walk away. Stay here on your romantic getaways in Hawaii, you won’t be disappointed. 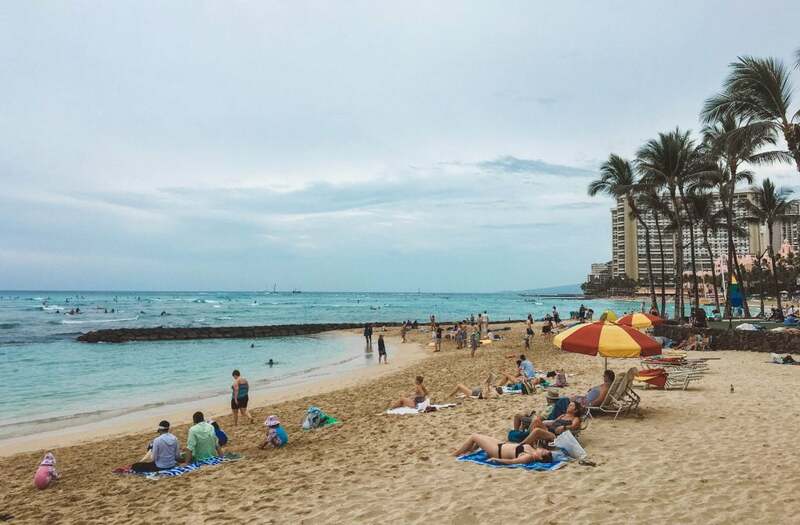 This quaint Hawaii honeymoon hotel is the perfect spot for couples looking for the best budget accommodation in Hawaii. Located in Kapaa, Islander On The Beach #325, provides guests with all of the modern amenities. From a romantic hot tub, private beach area and on-site snorkelling for couples on their Kauai honeymoon. For the low-cost price, this condo hotel really is the full romance package. So if you’re wondering where’s the best place to stay in Hawaii on a budget, for sure check this place out! Beautiful Oahu is known as the true heart of Hawaii. Oahu is the third largest Island in Hawaii and the most populated Island in the Hawaiian archipelago. It is also the top tourist destination of all of the Hawaiian islands. Because the State Capitol, Honolulu, is home to the vast majority of the state’s population, Oahu is referred to as “The Gathering Place”. If you’re coming to Oahu for your romantic getaways in Hawaii, take your time experiencing Oahu’s unique beauty and extraordinary culture. Though the island is busier than its sister islands, there are plenty of romantic things to do in Hawaii for couples. 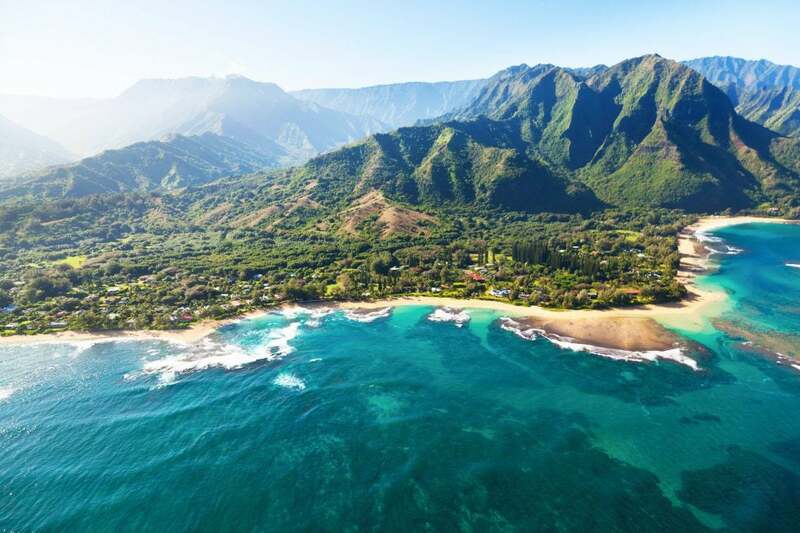 Enjoy scenic Koolau and Waianae Mountain ranges, hiking, secluded white sand beaches, charming beach towns, and even challenging winter surf on the North Shore in Hawaii. Treat yourselves to a romantic evening aboard a sailing catamaran on your Oahu honeymoon! Imagine rocking back and forth on the waves of the Pacific Ocean while you stare out at sea while enjoying your romantic getaways in Hawaii. Dabble in delicious appetizers and a selection of wines as you immerse yourself in this full on Hawaiian Sunset experience. You’ll sail south toward Diamond Head and may even catch a glimpse of the infamous green flash as the sun slips below the horizon. Feel the wind in your hair and witness the pure, authentic Waikiki experience. This is one of the most romantic things to do in Hawaii for couples. If you’re on your Oahu honeymoon, this is an experience you can’t miss! Many agree that Oahu is, in fact, the best Hawaii island for Shark Diving. Here on your Oahu honeymoon in Hawaii, you can enjoy thrilling encounters with sharks up close and personally. The Oahu Shark Dive allows couples to swim side by side next to grey reef sharks, Galapagos sharks, sandbar sharks and even hammerhead sharks ranging from 5-15 feet. Observe the ocean’s top predators up close from a secure underwater shark cage. The expert crew will ensure a safe and enjoyable experience for everyone on board. Whether you wish to enter the cage or simply view the sharks from the boat. This is truly a once in a lifetime opportunity for many, and hands down one of the best things to do for couples in Hawaii. There is something genuinely romantic about riding atop a catamaran ship and intimately experiencing the most beautiful places in Hawaii. On this 4-hour sailing journey, couples will see Oahu from a seaside view on their Hawaii honeymoon. Snorkel among millions of local fish at two different tropical reefs, scan for dolphins and even whales. No great catamaran sailing adventure is complete without a Hawaiian style lunch served with complimentary cocktails. This is sure to be one of the most romantic things to do in Hawaii. Relax in the sun after your breathtaking underwater experience on your Oahu honeymoon in Hawaii! Rated as one of the top fun activities for couples in Hawaii, is the Dimond Head Crater Trail. This incredible hike is the perfect way for you and your sweetie to experience one of Oahu’s most amazing landmarks. Climb up rocky stairways, venture into dark tunnels, and make your way to the crater summit, where you will be amazed by the panoramic views of Waikiki Beach. The contrast of the emerald green mountains and the radiant aquamarine waters is something that photos can not do justice! It’s the perfect day trip for your romantic getaways in Hawaii or Oahu honeymoon! Learn about the fascinating volcanic creation, Hawaiian history, European discovery and modern day military use of the ‘Gibraltar of the Pacific’. Diamond Head Crater is undoubtedly one of the best places to go in Hawaii for your romantic getaways in Hawaii. This is one place you have to see on your Oahu honeymoon in Hawaii! Pearl Harbor is a must do for the vast majority of tourists that come through Oahu. Journey back in time to December 7, 1941 and experience the monumental surprise attack on America at Pearl Harbor. You and your partner will be able to climb aboard the US Navy shuttle boat for a narrated boat tour around the USS Arizona Memorial. Here you can learn about the events that unfolded that tragic day. This educational tour is one of the best things to do in Hawaii for couples and will have you holding each other close for the rest of the day. 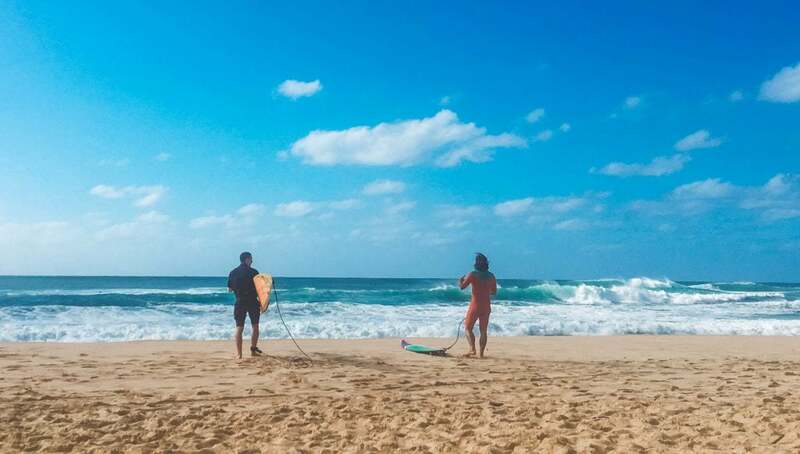 Checking out the famous surf breaks is one of the best things to do for couples in Hawaii. Rent a car and explore the north shore of Hawaii on your Oahu honeymoon. Stop at the famous surf spots like Sunset Beach, Banzai Pipeline, Waimea Bay, Laniakea, Leftovers and Chun’s Reef on your Hawaii honeymoon. Sit back, soak up the sun and enjoy an afternoon of entertainment watching some of the best surfers in the world. 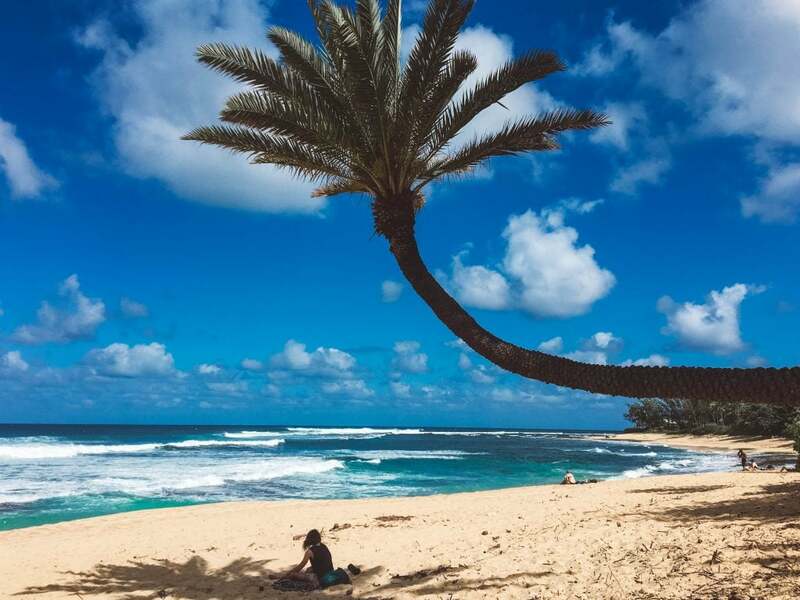 Make sure you include a day trip to the North Shore of Oahu on your romantic getaways in Hawaii. If you’re looking for the best things to do for couples in Hawaii, definitely head to Laniakea Beach. Here you can see a vast array of sea turtles who emerge from the ocean to sunbake on the sandy shores. It’s absolutely incredible seeing these gentle giants of the sea so chilled, relaxed and enjoying the sun. They range in size and there are definitely some old souls among them. Discovering turtles at Laniakea Beach should be top of your list, while you’re enjoying your romantic getaways in Hawaii. Romance, relaxation, elegance and luxury is exactly what you will get when you stay at the beautiful Halekulani Hotel. 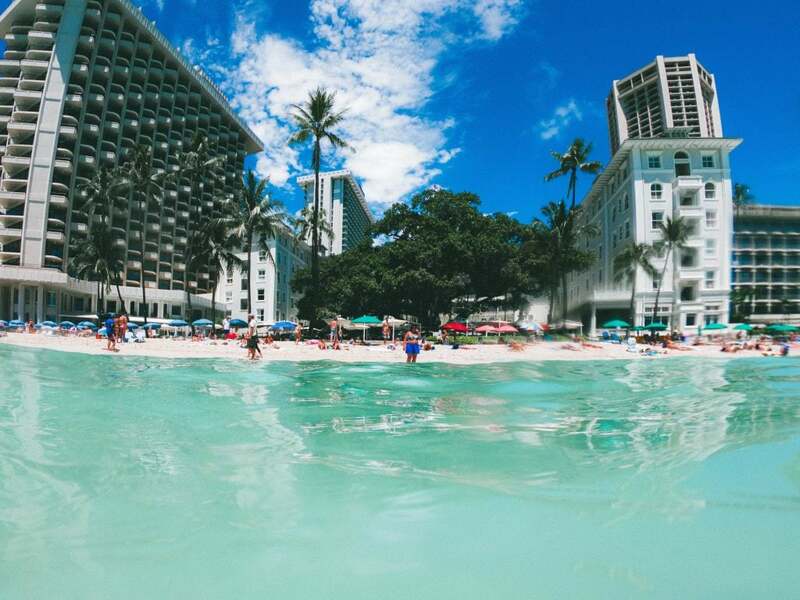 Located on Waikiki Beach overlooking Diamond Head, the Halekulani is the best beach hotel in Hawaii. There are 3 on-site restaurants, a live jazz band and a day spa for couples on their Oahu honeymoon in Hawaii. Enjoy all of the modern luxury amenities any couple could desire, this is one of the best places to honeymoon in Hawaii. Guests can enjoy a truly romantic ambience throughout the hotel, both day and night. The Halekulani features deep soaking tubs in each room, a heated swimming pool with stunning views of Waikiki Beach! The pool attendants are there to fulfil every guest request and provide award-winning services. With reasonable prices, this is easily one of the most enjoyable and affordable romantic getaways in Hawaii. When it comes to Hawaii beachfront resorts, Waikiki Beach Marriott Resort & Spa features some of the most amazing views in all of Oahu. So if you’re wondering where to stay on your Oahu honeymoon, you’ll love this romantic Hawaii honeymoon hotel. The Marriott Waikiki Beach Resort and Spa offers its guests two beautiful outdoor swimming pools and a fitness centre. Poolside cocktails and live nightly entertainment with award-winning service are standard at Waikiki Beach Marriott. With some of the best views in Oahu, this is truly one of the best places to stay in Hawaii on your Hawaii honeymoon. This small, romantic resort is tucked away in the Lush jungle of Kaneohe Bay. Enjoy pure seclusion and amazing views of the Koolau Mountain Range from their lavish private balconies on your Hawaii honeymoon. Paradise Bay features Hawaii beach bungalows for newlyweds! Watch the beautiful Hawaii sunset from the outdoor pool, hot tub or floating sun lounge with your lover. 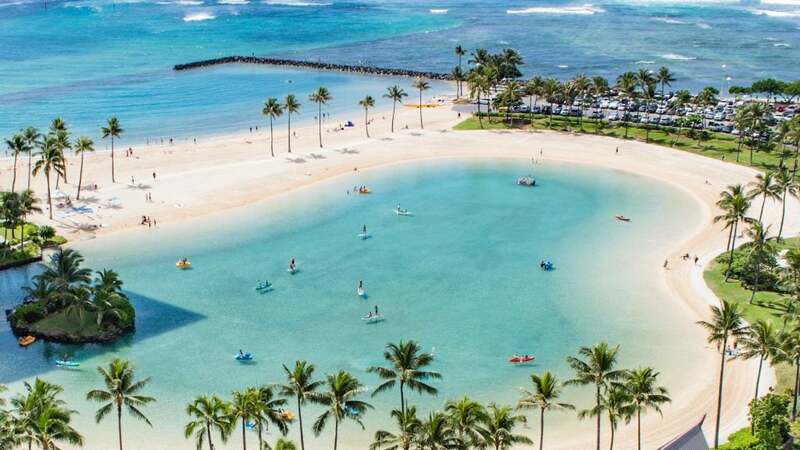 Enjoy various dinner show’s, sandbar excursions, snorkelling adventures, private boat charton-call call spa services and more at this all inclusive resorts in Hawaii. Snorkelling here is even more special, since the largest barrier reef in the Hawaiian archipelago is just off the Kaneohe Bay. This is truly one of the best vacation spots in Hawaii that you will never want to leave. Want a true Hawaiian experience, but on a budget? Come to E Komo Mai for some of the best budget accommodation in Hawaii on your Oahu honeymoon. Secluded in a small section of Oahu, you will have your own private getaway in Hawaii right on the Ocean’s edge. Enjoy all the perks of having your own 3 bedroom villa right off the beautiful coastline on your Hawaii honeymoon. Best of all, your romantic getaways in Hawaii will be complete with stunning ocean front views and lavish surrounding jungle! Because Lanai is the smallest of the inhabited islands in Hawaii, it offers the most intimacy for couples. Find luxury and serenity on one half of the island at some of the most romantic resorts in Hawaii. 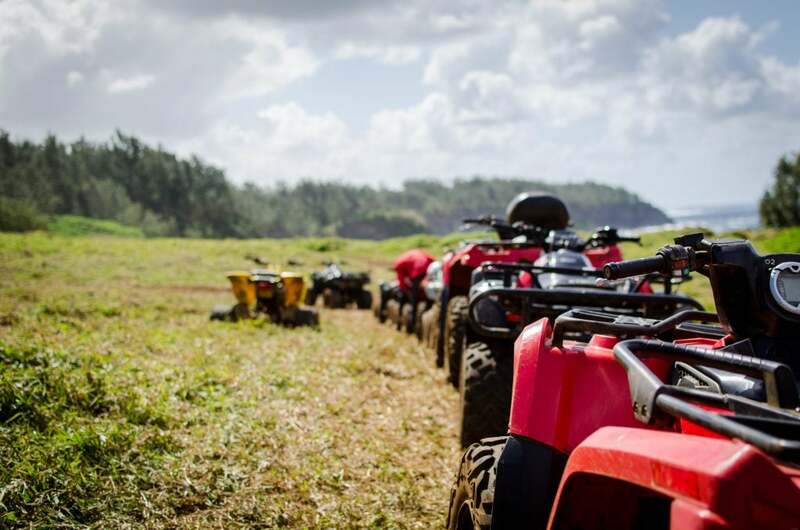 Get adventurous on the other half of Lanai by going quad biking, hiking, or snorkelling over the rugged nature preserves of the island on your Lanai Hawaii honeymoon. Either way, Lanai is the perfect tiny escape for couples looking for simplicity, seclusion, adventure and romance. This beautiful island is easily one of the most beautiful places in Hawaii! Lanai is a must-see for couples on their romantic getaways in Hawaii! Looking for fun activities for couples in Hawaii? Join us in the crystal clear waters off the Lanai island reef on this epic snorkelling journey. 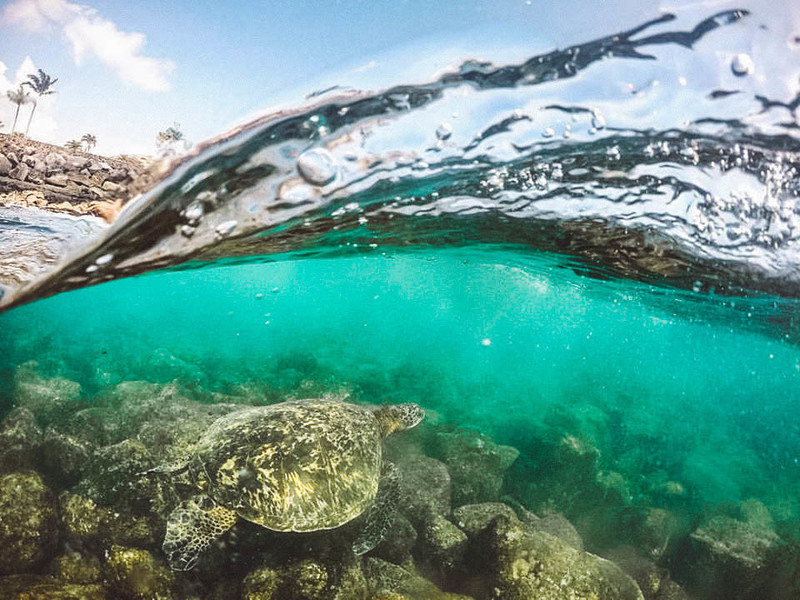 Here, you’ll have the opportunity to get up close and personal with some of Hawaii’s most exotic sea life on your Hawaii honeymoon. Sail aboard one of Maui’s most stable catamarans to your snorkeling destination. You will have the most amazing views of Maui, Molokai and Lanai on your romantic getaways in Hawaii. Swim with tropical fish, sea turtles and allow the vibrant coral reef to transport you to a whole new world. Snorkelling here will be the perfect addition to your romantic getaways in Hawaii. So if you’re on your Lanai Hawaii honeymoon, you need to check out this epic day trip! It doesn’t get much more romantic than diving into the vast Sea space with your partner on your Hawaii honeymoon. Join Lanai Diving adventure for one of the most romantic things to do in Hawaii. Dive along Lanai’s striking coastline in small groups. You’ll experience the famous cathedral dives, swim-throughs, archways, and underwater lava structures, along with a mass amount of sea life. Many divers agree that Lanai diving has the greatest diversity and marine life density, to rival all other diving locations in Hawaii. There are over 40 dives sites to choose from, ranging from beautiful coral reefs, to unique lava tubes. Diving here in Lanai the perfect location for your Hawaii romantic vacation! Although Lanai is a small island, there is still plenty of fun activities for couples in Hawaii on this quaint little island. Take hold of your sweetheart’s hand and admire one of Lanai’s most famous landmarks, Puu Pehe (Sweetheart Rock). Just a short hike away from Hulopoe Bay Beach, you’ll find a cliff-side perch overlooking the stunning Landmark. The legend behind this natural Manele Bay landmark involves a star-crossed love story. The stellar views and glimpses of spinner dolphins make for the perfect balance in the romantic tale. A perfect place to visit for couples on their Lanai honeymoon Hawaii! Four Seasons Resort Lanai is probably the most romantic resort in Hawaii. This luxury resort has a 5-star rating and we know exactly why. Tucked away in the lush gardens, right off the Lanai Coast, this incredible resort offers a truly untouched natural beauty for its guests. 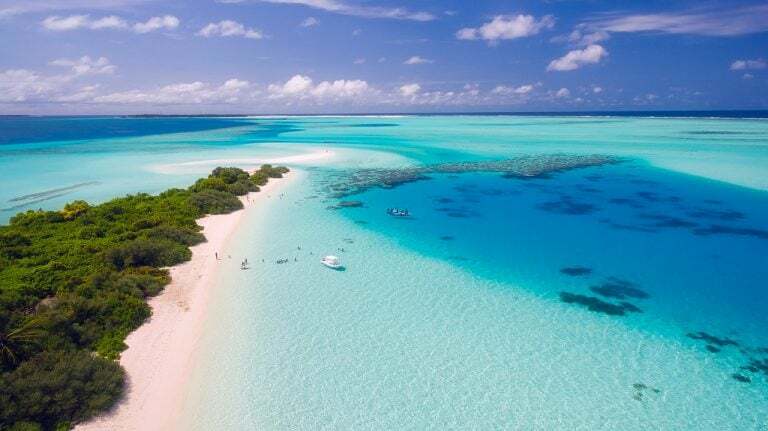 It is indeed an ocean-side paradise, bordering a marine preserve filled with colourful reef fish and protected species of green sea turtles and spinner dolphins. Relax with exquisite on-site spa services, in-room dining, elegant suites, private terraces, luxurious pools with ocean views, and the best service staff on the Island of Lanai. To top it off, there are eleven different massage rooms, facial and salon services, a golf course, tennis courts, incredible views and a sports bar. This stunning resort is Lanai’s best luxury hotel Hawaii has to offer. Make sure you stay here for your Lanai Hawaii honeymoon! Hotel Lanai is one of the best beach hotels in Hawaii. Nestled in towering Cook Pines at the top of Lanai City, you will experience the ultimate private getaways in Hawaii. This serene hotel invites you to slow down, step back in time and enjoy a simpler way of life. The unique one bedroom cottage comes with its own deck, complete with a hammock for lazy afternoons cuddled up with your sweetheart. The hotel’s in-house restaurant, Lana’i City Bar & Grille, offers local favourites in a romantic atmosphere. If you are here for your honeymoon in Hawaii, Hotel Lanai is one of the best places to stay in Hawaii for your romantic getaways in Hawaii. 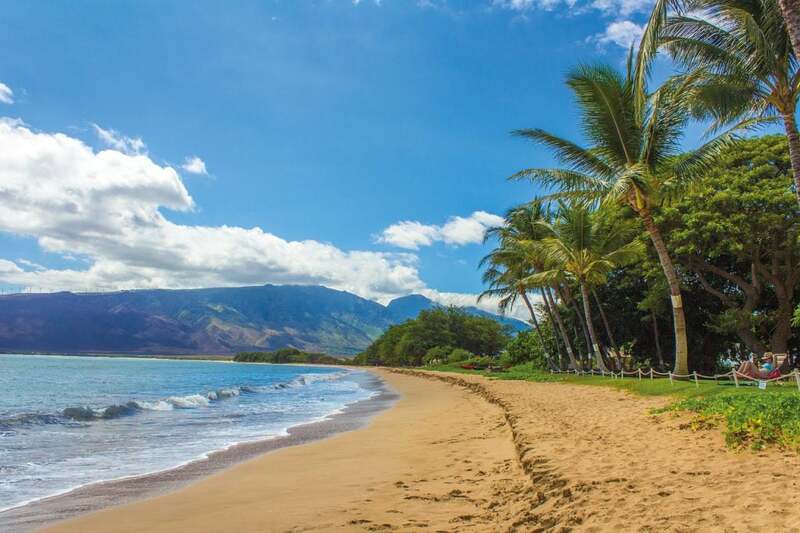 Maui has been voted “Best Island in the US” and is considered the Best island in Hawaii. Nature lovers will fall in love with this incredible island and all of its amazing, romantic things to do for couples in Hawaii. From the ethereal bamboo forest and churning waterfalls in Haleakala National Park, to the world-famous beaches and humpback whale sightings. Couples will be entertained by the magic of this island from start to finish on their Maui honeymoon! The golden sands along the coastline, the sacred Iao Valley, unforgettable windsurfing and some of the most magnificent sunrise to sunsets are among only a few things to enjoy on this Hawaii romantic vacation. Maui genuinely is one of the most romantic getaways in Hawaii. This is one Hawaii honeymoon destination that you’ll be happy you experienced. Welcome aboard the Calypso in Maui’s newest addition to the snorkelling fleet. Your tour will begin at the Maalaea harbour, where you’ll board your boat to Molokini Crater and Turtle Town. Enjoy a delicious breakfast aboard while witnessing the true beauty of the Pacific Ocean on your honeymoon in Maui, Hawaii. Molokini is an extinct volcanic cone that provides the opportunity to see native Hawaiian marine life like you are a part of it. Swim with manta rays, amazing fish, urchins and even sharks. With so much exciting entertainment, this is easily one of the most fun activities for couples in Hawaii. 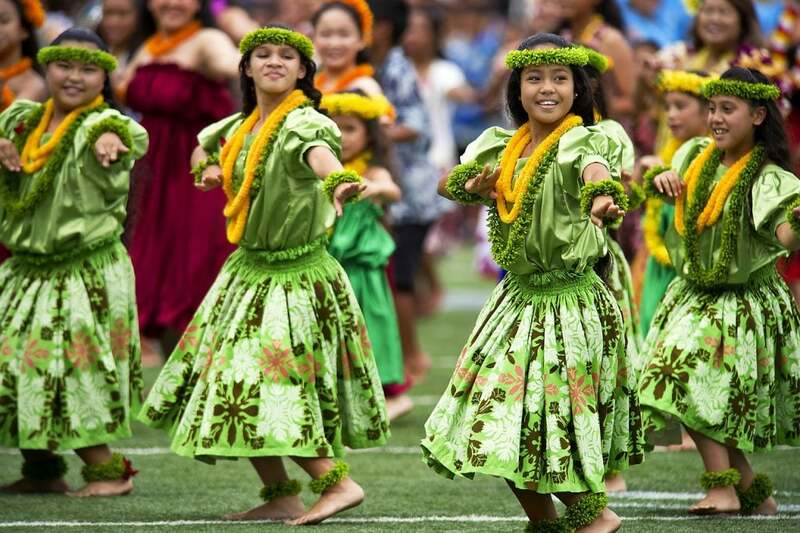 The Luau dance is a major part of Hawaii’s rich culture and ancient traditions. The Old Lahaina Luau is one of the best things to do for couples in Hawaii. Especially if you want to experience a traditional Hawaiian luau and learn more about what the elegant dance is all about on your Maui honeymoon Hawaii. Tonight, you will be served a delicious buffet dinner as you sip on free drinks. Be entertained by traditional Hawaiian music, cultural dancing and island crafts at Maui’s most popular luau. This will be an unforgettable experience for your romantic getaways in Hawaii or Maui honeymoon. Experience a beautiful Hawaii sunrise like no other on the Haleakala National Park Sunrise Tour. The sheer vastness of Haleakalā National Park will awaken you with sun rays casting amazing hues of light into the crater floor. You and your sweetie will be transported to the summit in a comfortable vehicle. Take in the views of the Parks flora, fauna and cultural significance on your Maui honeymoon in Hawaii. Once the sun is up and you have had your fill of photos and views from one of the most beautiful places in Hawaii. Then you’ll head to the historic Kula Lodge for more amazing valley views and a delicious lodge breakfast. Your Hawaii romantic vacation would not be complete without a hike to one of East Maui’s amazing waterfalls. This half-day excursion takes you deep into one of the most beautiful places in Hawaii. Hike through the rainforest and discover waterfalls tumbling one after another only a short distance apart from one another. This relaxed hike will be a welcome challenge and one of the most fun things to do for couples in Hawaii. Once at the falls, you will be able to take a dip into the pools below the falls, climb up the basalt rock formations and jump safely into the water below. This is one of the fun things to do in Hawaii for couples who want fun on their Maui honeymoon! 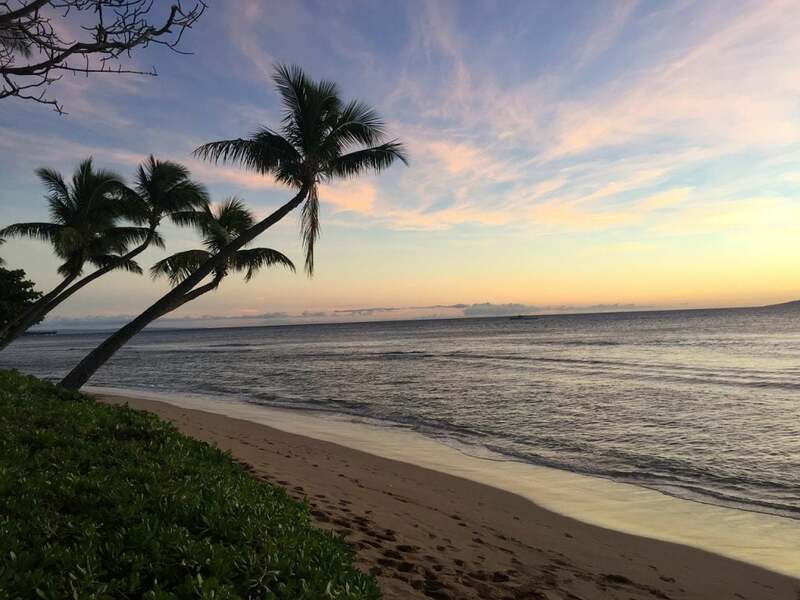 Rated as one of the best bed and breakfasts in Hawaii, Maui Beach House B & B is the perfect Hawaii romantic vacation spot for you. This beautiful Hawaii beachfront property offers stunning views over Maui’s coastline, a relaxing ambience and a super convenient location to plenty of nearby attractions. Located only a few miles away from Lahaina, couples will find tons of romantic things to do in Hawaii, including horseback riding, surfing and golfing. So if you’re looking for the best honeymoon hotels in Maui, for sure stay here! 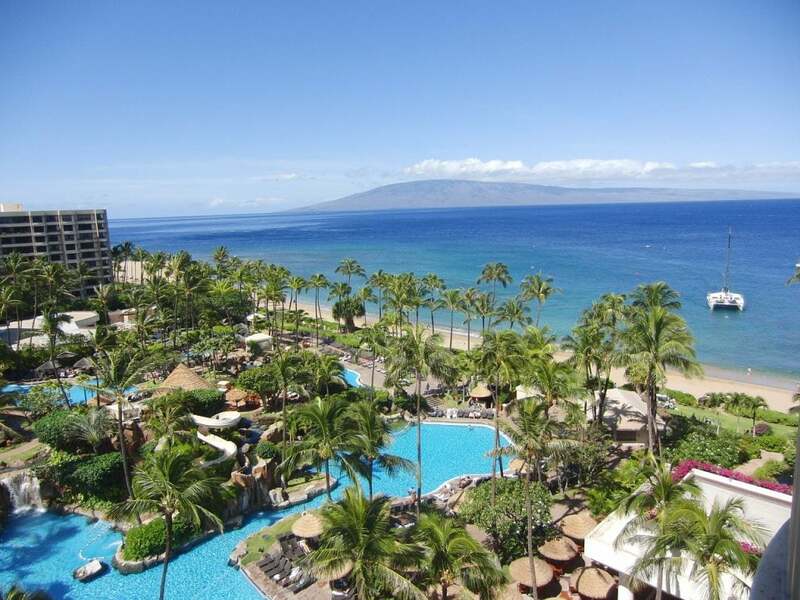 Hyatt Regency Maui Resort & Spa is the epitome of romantic getaways in Hawaii. This gem of a resort is situated perfectly on Maui’s west coast, in 40 acres of lush gardens. This is truly one of the best places in Hawaii for couples and a perfect destination for a Maui honeymoon in Hawaii. Couples who stay here will be immersed in luxury from arrival until departure. The Ritz-Carlton, Kapalua upholds the impeccable reputation of the Ritz-Carlton brand nationwide. This incredible 5 star hotel offers a truly romantic ambience at this Maui honeymoon resort. Enjoy breathtaking ocean views, 2 full golf courses and modern guest rooms. Not only is this one of the best honeymoon hotels in Hawaii, but it is also known as the most romantic resort in Hawaii, Maui. The award-winning hotel includes the Ritz-Carlton Spa, 2 tennis courts, a 3 level outdoor pool, and delicious upscale cuisine. Chose from tons of recreational activities, such as whale watching or paddle boarding. Are you celebrating your honeymoon in Hawaii or just want to experience one of the most luxurious hotels that Hawaii has to offer? No matter what the reason for your stay, you will be happy you stayed at the Ritz-Carlton, Kapalua; One of the best honeymoon hotels in Maui, Hawaii. Maui hosts plenty of award-winning, upscale resorts, but not everyone is looking for such lavish accommodation on their Maui honeymoon in Hawaii. Palms at Wailea Maui is the perfect budget accommodation in Hawaii for couples looking to experience the full beauty of Maui. This property is only a few minute walk to the beach and features a beautiful outdoor pool, a tennis club and hot tub. If you want to stay at one of the best honeymoon hotels in Maui, Hawaii you’ll love it here. Relax on your spacious balcony while taking in Maui’s Oceanfront, Mountain, or garden views on your Maui honeymoon in Hawaii. Although, not the smallest island, Molokai is Hawaii’s truest traditional Hawaiian Island. “The Friendly Island” got its name because of the true aloha spirit that flourishes the island. There is honestly not a lot of glitz and glamour to be found here. It is for that reason, that we had to add Molokai to our top romantic getaways in Hawaii. This exciting getaway offers couples a sense of simple romance on their Hawaii honeymoon. Stepping into Molokai island is like stepping back in time 50 years. You will find little automobile traffic, people are friendly, there are no traffic lights and barely any footprints on the beach. This is your perfect piece of paradise and one of the best vacation spots in Hawaii for nature-loving couples. Halawa Valley in Lanai is a must see on your romantic getaways in Hawaii. The lush cathedral valley can only be explored on a guided hike. You will be led to sacred temples, breathtaking vistas and cascading waterfalls. Along the hike, you’ll witness views of some of the most beautiful places in Hawaii. Experience Mooula Falls, one lane switchbacks, and the endless views of the deserted black sand beaches along the coastline. This is one of the top honeymoon spots in Hawaii! This stunning beach alone is what makes Molokai rival as the best island to stay in in Hawaii. Papohaku Beach Park is one of the largest white sand beaches in all of Hawaii. At three miles long and 100 yards wide, visitors have ample space to spread out. Cozy up to your sweetie and take in the amazing views of Diamond Head on Oahu during sunset. This is the picture perfect place to come for a romantic picnic or even just enjoy the breathtaking scenery side by side. If you’re looking for romantic things to do for couples in Hawaii, this is it! As you can imagine, with not much foot traffic here, Molokai offers some of the most incredible reefs. One of the best things to do for couples in Hawaii, is snorkel. Explore the beautiful living aquarium lying just beneath the water’s surface. Molokai is home to Hawaii’s longest continuous fringing reef, at 28 miles long. Natural “finger” coral, green sea turtles, seals and swirling rainbow fish, are just a few things you’ll see. The waters around Molokai are among the richest in the Pacific Ocean, making Molokai a paradise for anglers and divers alike. Located directly on Kamiloloa Beach, Hotel Molokai is easily one of the best beach hotels in Hawaii. This oceanfront hotel is modelled after a traditional Polynesian village and offers an outdoor swimming pool and beautiful garden views. Guests at this honeymoon resort Hawaii can relax in a hammock or have a meal in the hotel’s oceanfront restaurant. Expect impeccable service, great amenities, beautiful views, and can even rent scuba diving and snorkeling gear at their convenience. Although, not glitz, glamour or fine luxury, staying here gives couples the real, true Hawaiian adventure. Hotel Molokai is sure to make your romantic getaways in Hawaii the perfect Hawaiian experience. Castle Molokai Shores offers guests some of the most breathtaking views in Molokai for couples on their honeymoon in Hawaii. 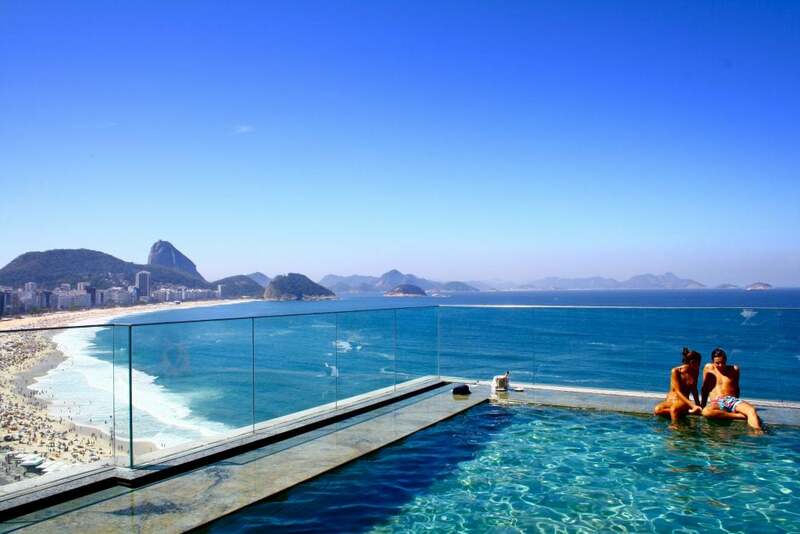 Each apartment offers a balcony or patio with ocean and jungle views. This oceanfront, Kaunakakai property features access to a white sand beach and an oceanfront outdoor pool. This may not be a 5 star luxury resort, but it is in fact one of the best Hawaii beach bungalows for couples to explore the serene nature of the true Hawaii. Immersed in a tropical climate, the Big Island is the perfect location for your romantic getaways in Hawaii. Because of all of the diversity surrounding the big island, there are so many things to do for couples in Hawaii. The island of Hawaii is the youngest and largest island in the Hawaiian chain. Nearly twice as big as all of the other islands, you will find the most beautiful places in Hawaii, here. From active lava flowing at Hawaii Volcanoes National Park to the snow-capped heights of Maunakea. Enjoy lush valleys of the Hamakua Coast and the jet black sands of Punaluu Beach, beautiful Hawaii truly embodies the pure power of nature. If you’re looking for the best places to go in Hawaii for honeymoon, check out the big island. Immerse yourself in a beautiful Hawaiian sunset and prepare to swim with giant manta rays in their natural habitat. This is an adventure of a lifetime and sure to leave you in awe at these majestic creatures. After the sun has set, you will grab your snorkel gear and jump in on your honeymoon in Hawaii. You will be able to interact with the manta’s as they fly through the dark, evening ocean. It’s easy to see how this is one of the best things to do for couples in Hawaii. Don’t forget your underwater camera! Three of the Big Island’s most famous waterfalls can be explored on this unique adventure tour. You will be able to see beautiful Hawaii’s Hiilawe Falls, Akaka Falls and Rainbow Falls along this tour. As you explore from Waipio Valley to the Hamakua Coast, you will discover the island’s phenomenal natural beauty. Experience a variety of terrain while learning about ancient legends and history. Swim at a private waterfall, and sample various fruits and nuts in a neighbouring farm. If you love waterfalls, this will be the perfect romantic things to do in Hawaii. The recent, record-breaking volcanic activity happening in beautiful Hawaii has, unfortunately, put a hold on this epic tour. However, the recent pause in eruptions has brought new hope that the Hawaii Volcanoes National Park will be reopened soon. While we wait for the full itinerary to come about, there are still plenty of fun things to do for couples in Hawaii on this tour. The current itinerary is still filled with excitement. Visit the Royal Kona Coffee headquarters and walk down Punalu’u black sand beach. Have lunch at the newly renovated Queen’s Court Restaurant in the historic Hilo Hawaiian Hotel. Witness incredible views of Hilo Bay and Mauna Kea, and even visit two of Hawaii’s most infamous waterfalls. This is one of best things to do for couples in Hawaii on their Big Island honeymoon! Experience snorkeling with colourful schools of fish and pods of spinner dolphins on this unique adventure down the Kona coastline. You will swim alongside unique underwater lava formations, capture photos of a majestic humpback whale, and learn about the history. This snorkeling adventure is a fun activity for couples in Hawaii that you won’t want to miss on your honeymoon in Hawaii. 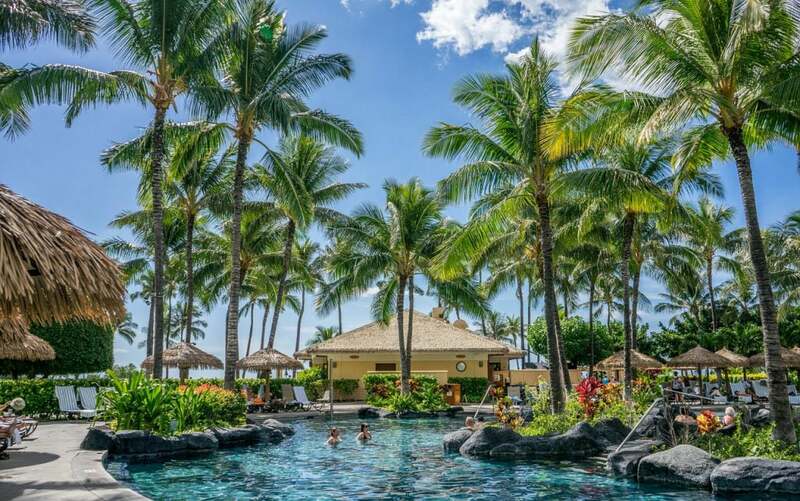 This Kohala Coast, Hawaii beachfront resort offers guests their own private getaways in Hawaii. Mauna Lani Point features individual villas equipped with all of the modern amenities, a full kitchen and a private terrace. The resort is situated on the Francis H. II Brown Golf Course and features a full service spa and fitness centre. Looking for fun activities for couples in Hawaii as well? Try tennis lessons, pilates classes and even swimming lessons here, on your romantic getaways in Hawaii. If you’re looking for the best honeymoon resorts in Hawaii, check out Mauna Lani Point! Mauna Kea Beach Hotel is more than just a hotel, it is an experience. Known as one of the most romantic Hawaii beachfront resorts, this property is filled with impressive features. Enjoy a top rated golf course, on site restaurants, bars and private beach services. Guests are greeted with a fresh flower lei and can relax on their private terrace with gorgeous ocean views. Enjoy a nightly turn down service, modern amenities, cocktail hour, yoga classes and rejuvenating spa services. With so much luxury and romance, its easy to see how this could be one of the best places to stay in Hawaii. Four Seasons Resorts have a reputation for romance, and the Four Seasons Resort Hualalai is no exception. Known as one of the best honeymoon hotels in Hawaii, this romance inspired resort features irresistible amenities. With seven swimming areas, five dining options, and breathtaking ocean views, couples can truly feel like royalty. Guests can enjoy an on-site 18-hole Jack Nicklaus signature Hualalai Golf Course. Have a swim in the saltwater pool and relax by the adult only area on your Hawaii honeymoon. A full service spa allows guests to relax and rejuvenate after a long day in the sun. Staying here will ensure one of the most romantic getaways in Hawaii. Courtyard by Marriott King Kamehameha‘s Kona Beach Hotel offers couples an incredible bang for their buck. This amazing budget accommodation in Hawaii gives couples the feel of luxury accommodation for a fraction of the price. Guests can enjoy 2 on-site restaurants, private balconies, modern amenities, a luxurious pool and more. With access to Kona beach, only 5 minutes away, couples are truly in paradise on their honeymoon in Hawaii. If you’re on a budget and looking for where to stay in Hawaii, you have found it here. You’d rather not think about all of the things that might go wrong on your Romantic Getaways In Hawaii, but these things can and do happen. We like to think of travel insurance as a safety net, as it’s saved our butts big time on more than one occasion. We had our bags stolen, with passports, cameras and a decent chunk of money, and thanks to travel insurance we were able to replace these valuable items. I fell ill on our honeymoon and had to spend a week in the hospital, which racked up a huge debt. Without travel insurance, we would have been in thousands of dollars of debt. It’s not worth the risk to travel without insurance! 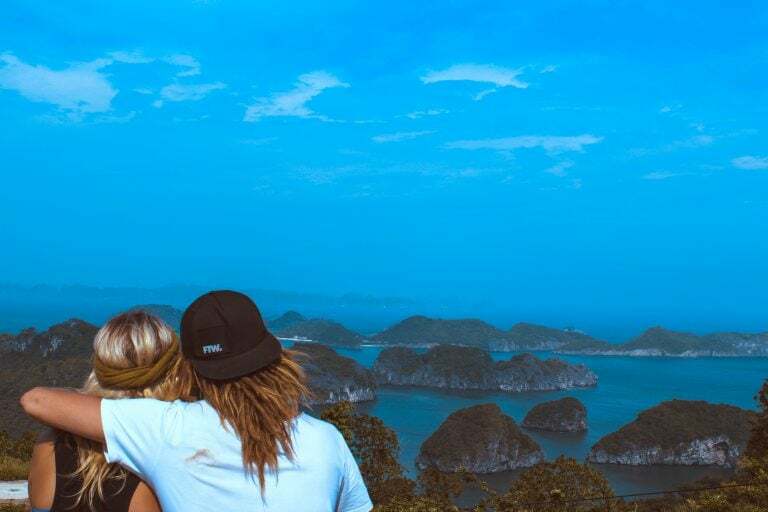 Keep your mind of ease on your Romantic Getaways In Hawaii by travelling smarter and safer with World Nomads travel insurance. These guys are the best in the business with affordable coverage for you and your lover on your Hawaii honeymoon travels. Before booking your Romantic Getaways In Hawaii make sure that your visa is sorted and approved. We always organise our visas through Visa HQ. They’re a reputable company that arranges visas for the vast majority of nationalities. No matter your nationality or travel location, Visa HQ will sort you out! From the Big Island to tiny Lanai, we have discovered incredible getaways for your romantic Hawaii vacation. Experience the traditional Hawaiian Luau at Luau Kalamaku in Kauai on your honeymoon in Hawaii. Go diving with your sweetie at Lanai Diving adventure. Hike through the rainforest and dive into the pristine waters at East Maui’s amazing waterfall excursion. Relax beachside or snorkel seaside at Papohaku Beach Park in Molokai. Get up close and personal to massive sharks at the Oahu Shark Dive experience. And even swim with manta rays on the Big Island. With so many truly incredible things to do for couples in Hawaii, it might be difficult to choose just one. Wherever you decide, we hope this Island by Island guide helps you find the perfect attraction paired with your ideal romantic accommodation. Ultimately, we want for your romantic getaways in Hawaii to be everything you’ve dreamt of and more.